It is common in our practice for patients to present to us with problems that have developed suddenly. We make every effort to see patients who have pain or swelling as soon as possible, usually on the same day that we become aware of the problem. Sometimes after-hour emergencies arise. If this should occur, call our office phone number. Our answering service will take the message and relay it to your doctor. Please allow a reasonable amount of time for us to return your call, but please do call back if more than an hour transpires. Dental pain can vary from mild to severe and can often cause systemic symptoms due to infection and pain. These symptoms often develop suddenly and can become life interrupting. That is why at North Shore and Brookline Endodontics, we see emergency patients as soon as possible. Whether you see your general dentist first or call us directly, we will work you into our schedule ASAP. We prioritize emergency patients because as specialists in Endodontics (root canal treatment) we are specially trained in the diagnosis of facial and dental pain. We utilize the latest in imaging technology including three dimensional cone beam CBCT, microscopic examination, and our experience gained from over 50 years of serving the needs of patients. Alleviating dental and facial pain is our specialty. We see patients daily who have developed symptoms suddenly. Our diagnostic and treatment skills allow us to quickly identify the cause of the problem and help patients get back to their regular life. Eliminating pain while still saving a patient’s natural tooth is a significant service that we are uniquely positioned to provide. We are specialists and our practice is set up to provide emergency care. We also manage the pain and injury that can result from facial and dental trauma. In collaboration with your dentist and other specialists, we can help save traumatized teeth and quickly get patients back to a pain free natural appearance. 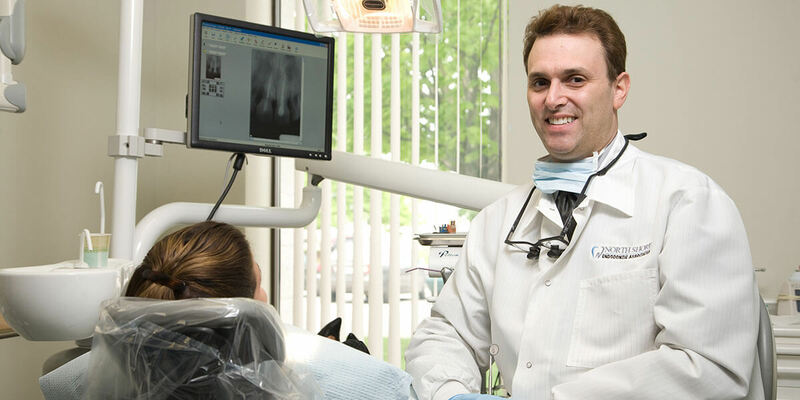 North Shore and Brookline Endodontics has been trusted by patients and Dentists for over 50 years to eliminate pain and to save natural teeth. Call our practice or ask your dentist to refer you to us when you find yourself in need.